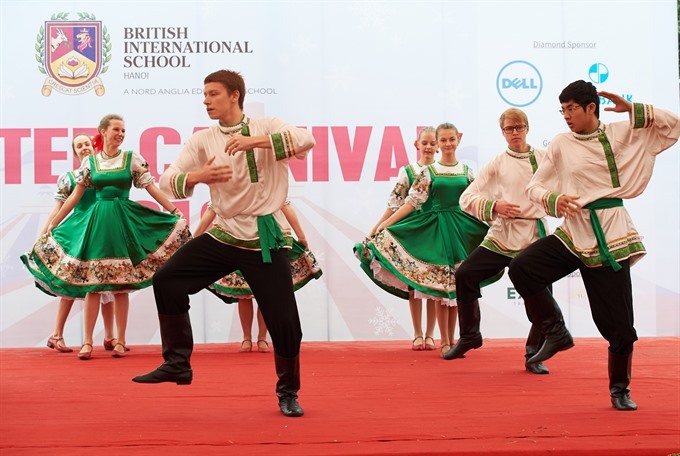 HÀ NỘI — On Saturday, the British International School Hanoi (BIS Hanoi) will host its first International Festival to celebrate the school’s various nationalities and cultures. The event will also raise money to support school community and charity projects. The event aims to educate students about cultures from all over the world through traditional games, costumes, food and other activities. It also aims to teach them the importance of social responsibility via community service projects. The event is expected to attract more than 2,000 people. It will feature plenty of entertainment: bouncy castles, henna painting, ice cream, candy floss stalls, music shows and handicraft workshops. International food from different countries and communities will be introduced, and several businesses and local charities will participate.